Here’s a glimpse of the new offerings from German designer Markus Lupfer, as part of his collaboration with Topshop. His distinctive ‘sequined motif upon a jumper’ designs have proved a huge hit with the Topshop shoppers. 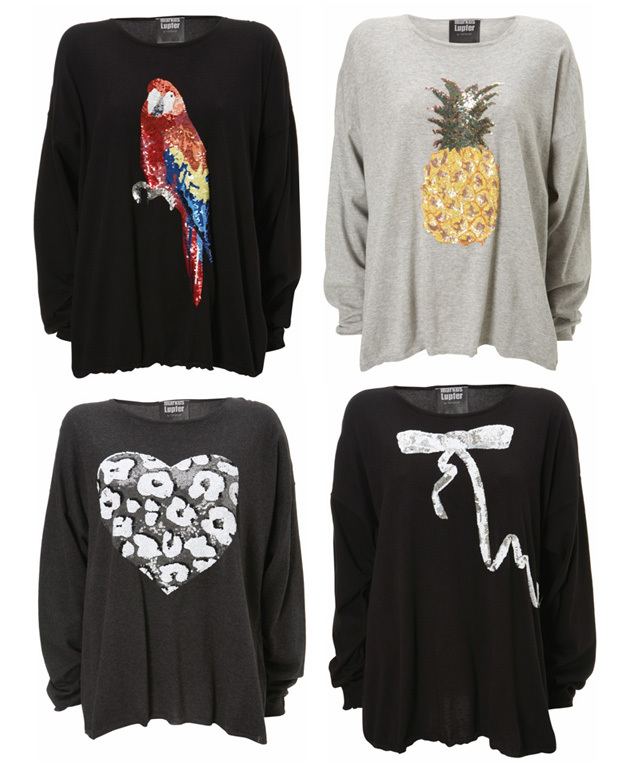 This is his 8th season with the high-street brand, my personal favourite this time round would be the parrot. As this is the high summer collection, the jumpers are made from a light cashmere, to allow wear during the warm months. These jumpers are £85 each and will be available instore from 15th July 2009. Another interesting fact (well, for me) about Markus Lupfer, he and I are alumni (different years) from the same university, that would be Westminster.